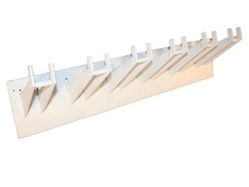 Durable and long lasting horseshoe storage rack. Durable and long lasting horseshoe storage rack. These Farrier Products are custom manufactured from clear polycarbonate Lexan.